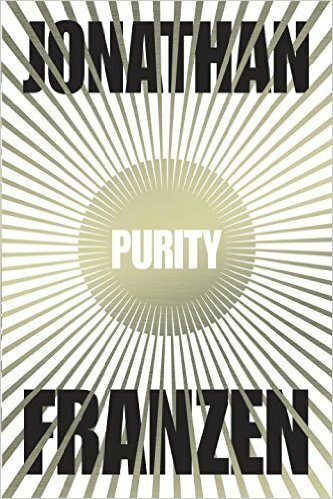 Jonathan Franzen’s Purity, published at the beginning of this month, is an engrossing and ambitious novel about idealism and marriage. In its long chapters from different viewpoint characters, it throws many balls into the air – fatherless Pip, real name Purity, a young woman in California with a crippling university debt and a needy, hermit-like mother; Andreas Wolf, a fictional, supposedly-purer Julian Assange, driven by lust and a dark secret from 1989 in East Berlin; and Tom Aberant, the founder of an online newspaper championing independent journalism, who still hasn’t got over his ex-wife. (It’s a curious choice that Franzen doesn’t give Pip’s mother, Penelope, a viewpoint chapter, and probably a weakness of the novel.) The different threads increasingly intertwine until the novel finally resolves with an unexpectedly cosy ending. Franzen has so many strengths. Complex characters with behaviours and thoughts that illuminate people we know and perhaps ourselves. Compelling drama as his characters are torn between conflicting desires and pushed to the edge. A seriousness of theme and purpose combined with moments of hilarity. All of these are on display in this novel, and yet inevitably, I have to compare it to his novels The Corrections (2001) and Freedom (2009), both all-time favourites of mine, and my initial impression is that it is less profound than these – at least partly because of that cosy ending. Would a cosy ending be better if you read it in front of a cosy fire on a storm-tossed night in winter? Admittedly, there is probably a place for “cosy”. But surely not in a Jonathan Franzen novel?